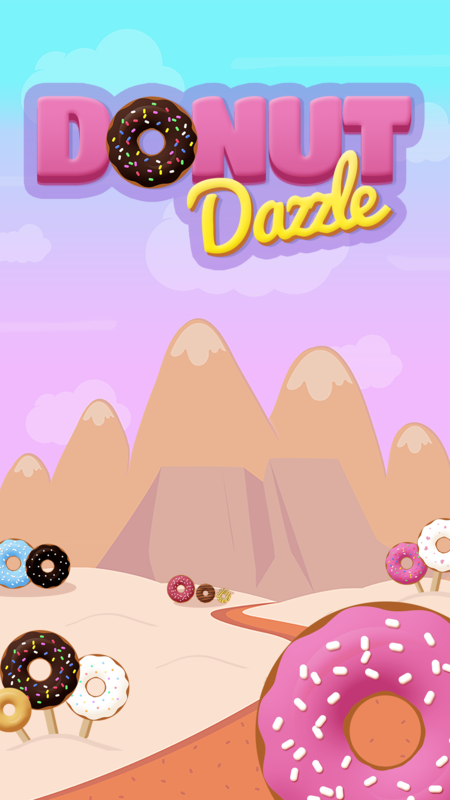 Donut Dazzle is a fun, fast-paced match-4 puzzle game with a unique gameplay! 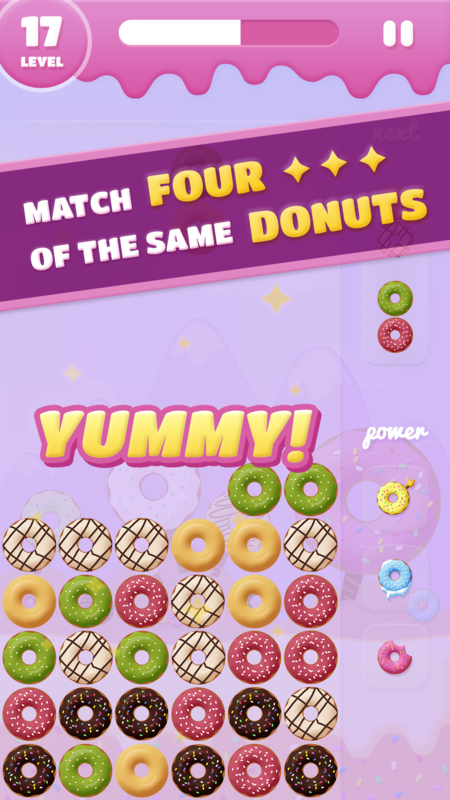 Tap to rotate donuts and match at least 4 of a kind to clear them. You can make combos to climb levels faster. Every 10 levels we throw in a speed bump! So as you play your way through this delicious game, make sure the board doesn't fill up or risk your imminent death. Remember, strategy is key! Keep your board clean and use Power-Ups to your advantage! 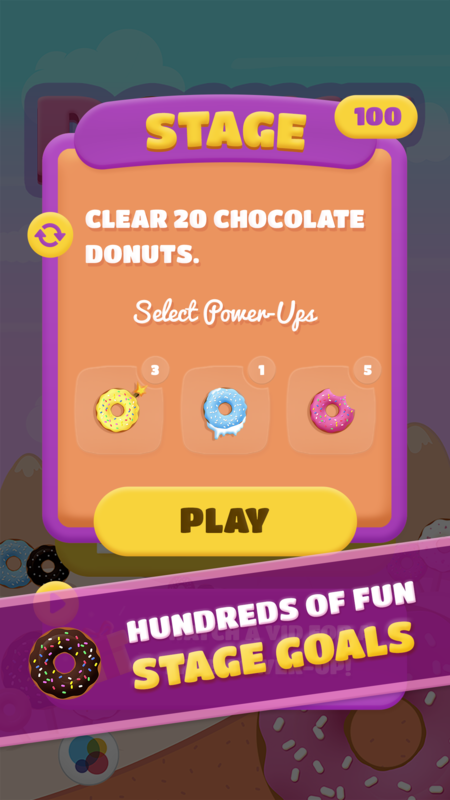 - Free to play, with optional in-app purchases. 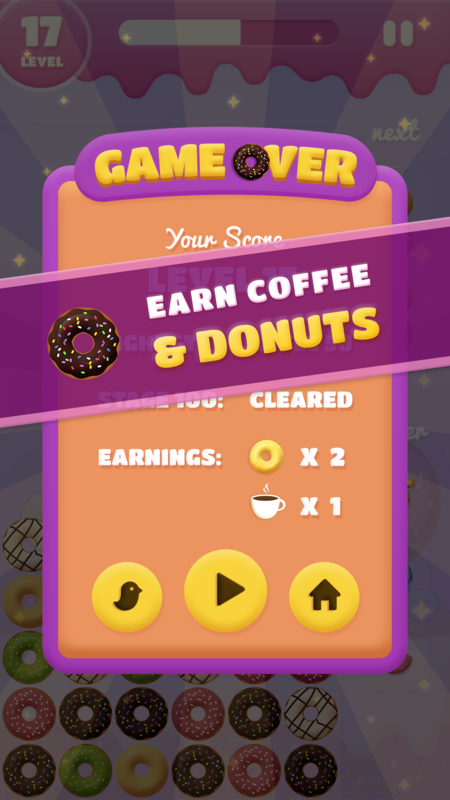 - Play through hundreds of fun stage goals and earn coffee points that unlock items! 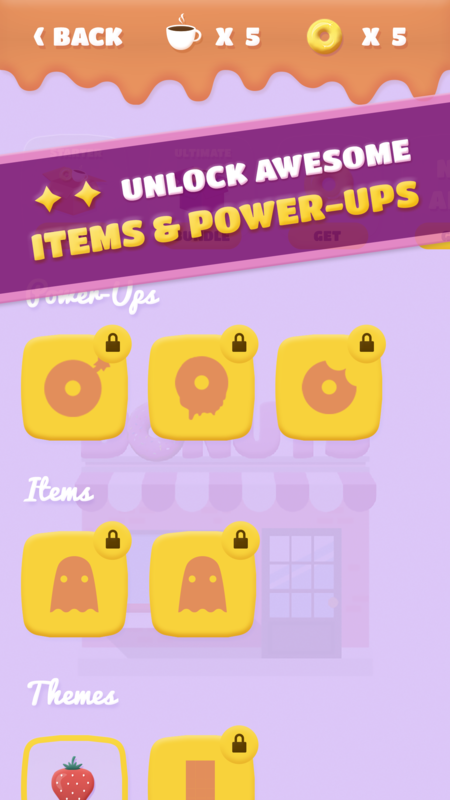 - 3 unique Power-Ups that help if you find yourself in a jam! - Unlock themes and other special items. - Leaderboard to see how you stack up against your friends and competitors. — Our Holiday donut theme is now live! Just in time for Christmas!